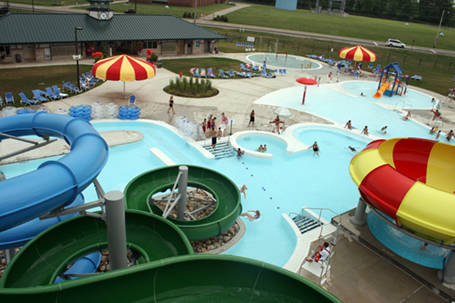 In 2004, the National Trail Parks and Recreation District, (NTPRD), retained Counsilman-Hunsaker to perform a Feasibility Study, which included developing aquatic recreation options and providing cost and operational analysis on how best to proceed with the design and construction of a new outdoor aquatic center. The study included gathering data, research, demographic analysis, extensive discussions and interviews with the planning committee, site visits, community tour, and visits to other area aquatic providers. The new park opened Memorial Day, 2007.